When I first met the Metawatch — possibly the most revolutionary and disruptive device since the mobile phone — I fell in love. What’s Metawatch? 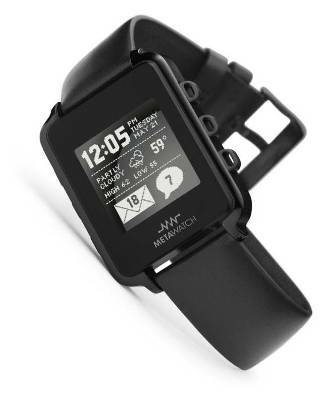 Metawatch is a handsome timepiece (analog and digital versions are available from the Texas Instruments Store) that receives alerts and notifications from your mobile phone over Bluetooth –providing at-a-glance awareness of what’s happening on the phone. Why Metawatch? If you’re an average smartphone user, you check your phone 34 times per day, according to a July 2010 study from Personal and Ubiquitous Computing. “Checking behavior” increases when rewards such as an email, text message, or shopping offer is waiting on the phone. then tap a specific event.